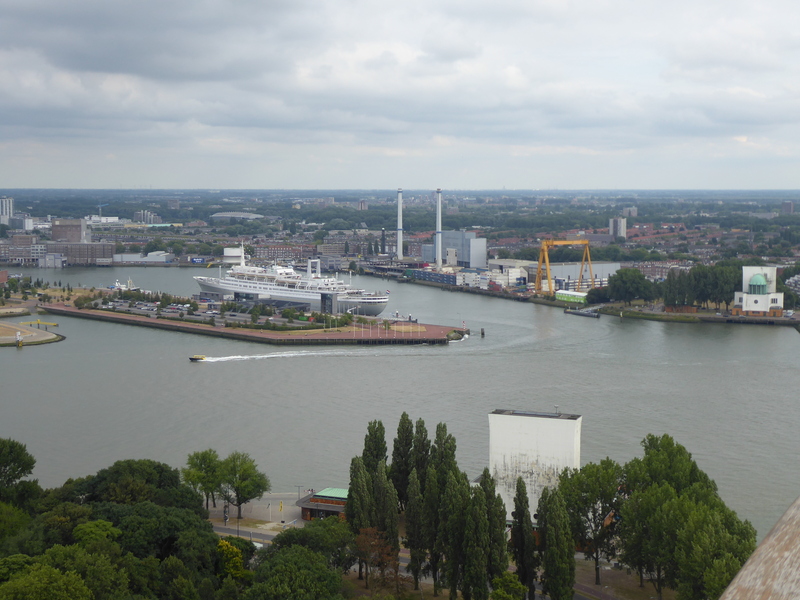 After picking up my awestruck jaw off the floor, it was time to explore the city of Rotterdam. The city struck me as an experimental city, where imagination is encouraged and thrives as a result. The way the city is now some seventy years after the end of the second World War reminds me of the phrase, from the concrete rises the flower. 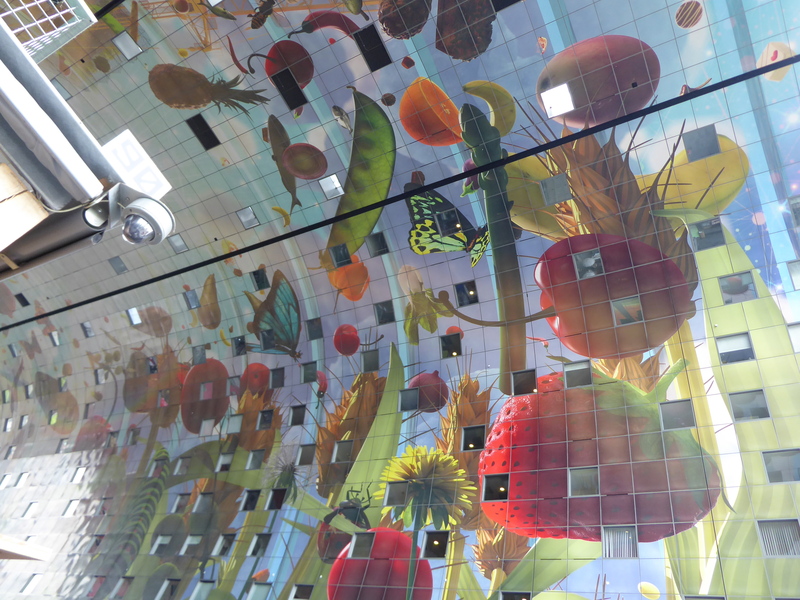 The first stop was the Markthal. This is basically a giant food court with various dishes. 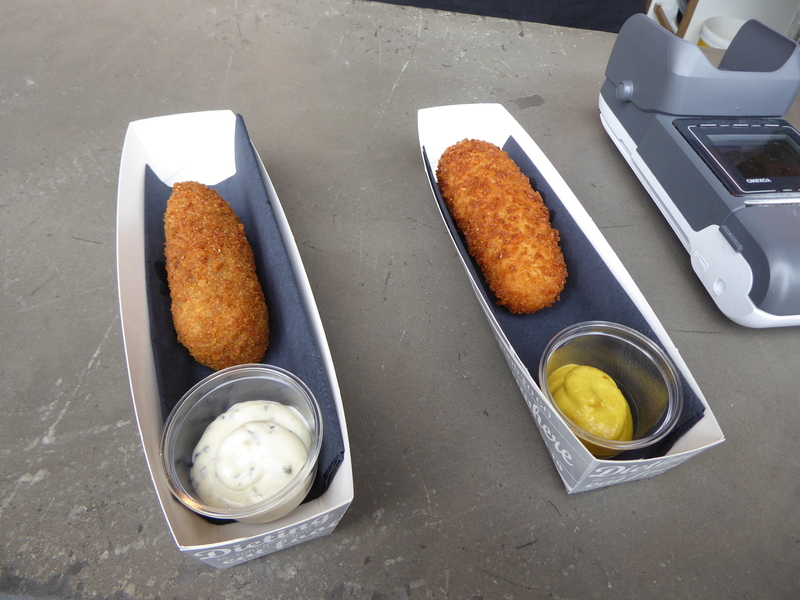 I wanted to get something native to the Netherlands, so I grabbed some croquettes from the first booth I saw. From here, I sampled sharp mustard, cheese, and finally a stroop waffle. All this eating prevented me from eating dinner later, but it was worth it. 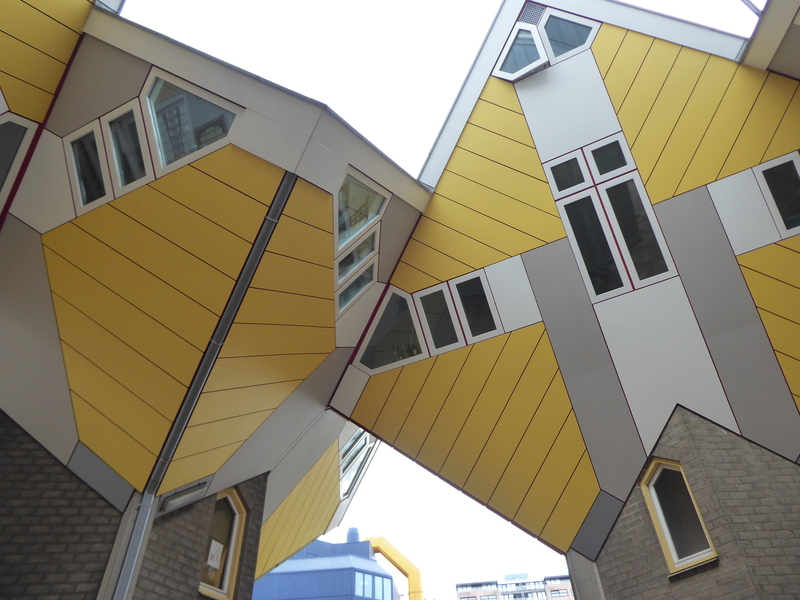 Across from the Markhtal is the set of yellow cube houses, the most popular destination in Rotterdam for visitors. These houses are the definition of quirky, and the most interesting part for me is that people actually live inside of them. 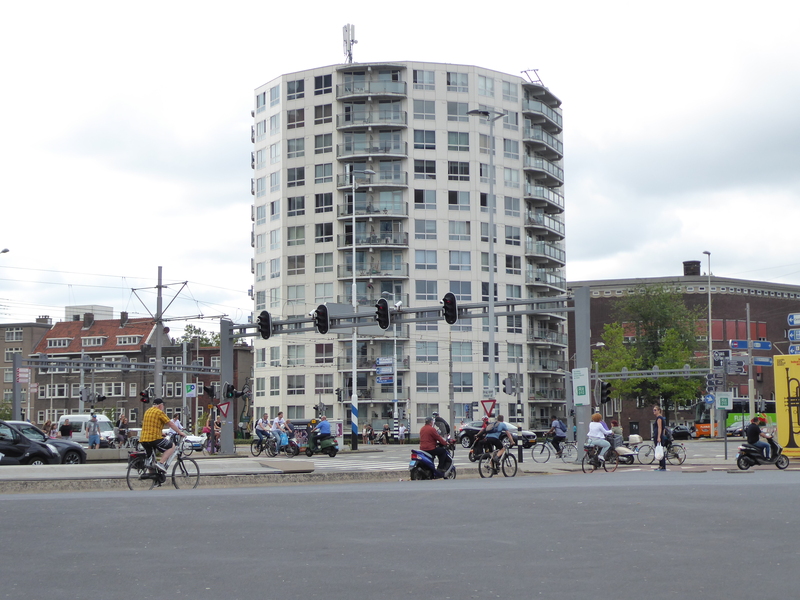 It’s impossible to make sense of them, but one must admire the freedom that the local government gave to allow such designs. 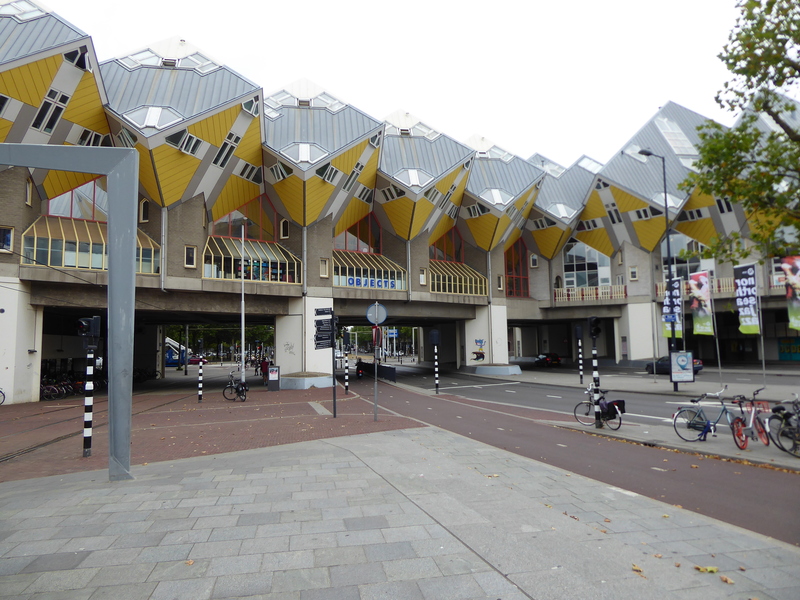 From the cube houses, it was just a quick walk to the bridge, known as Erasmusbrug. 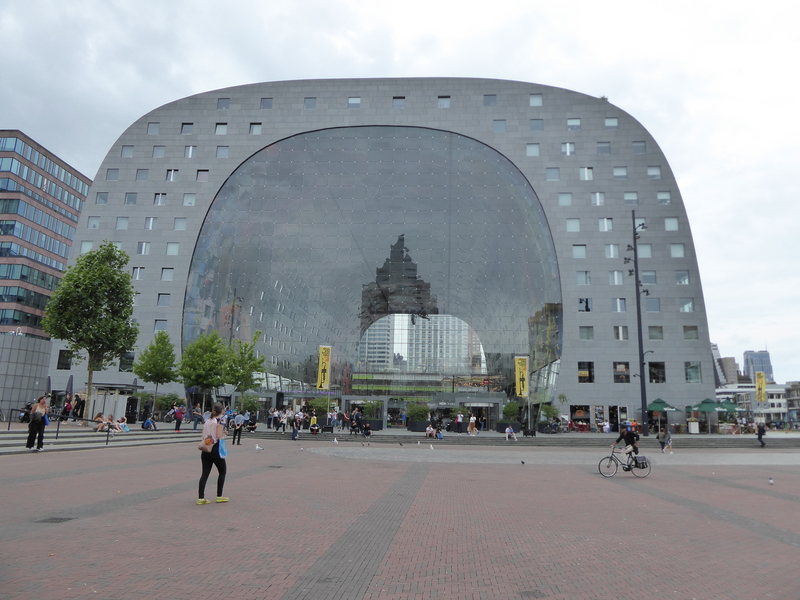 Even on the way to the bridge, there was a curiously shaped building. 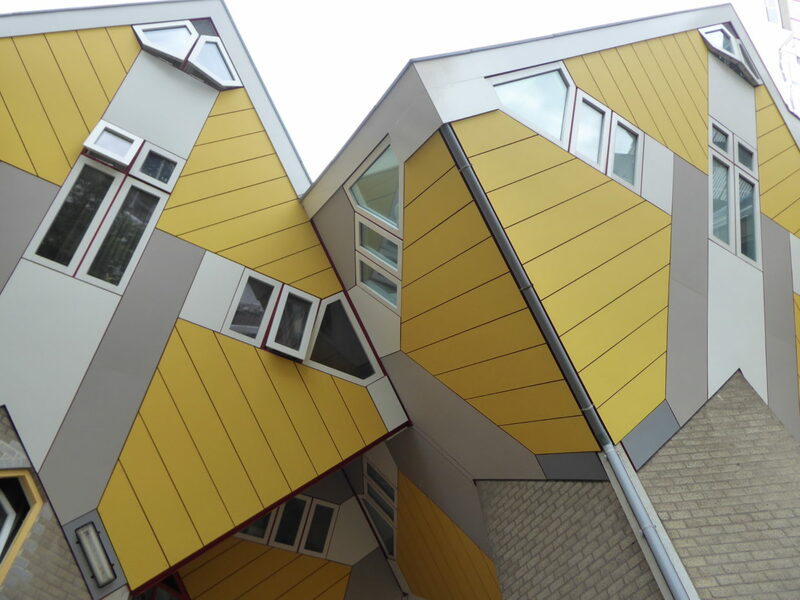 This is a stunning, architectural gem. This looks different from any other bridge that I have seen. 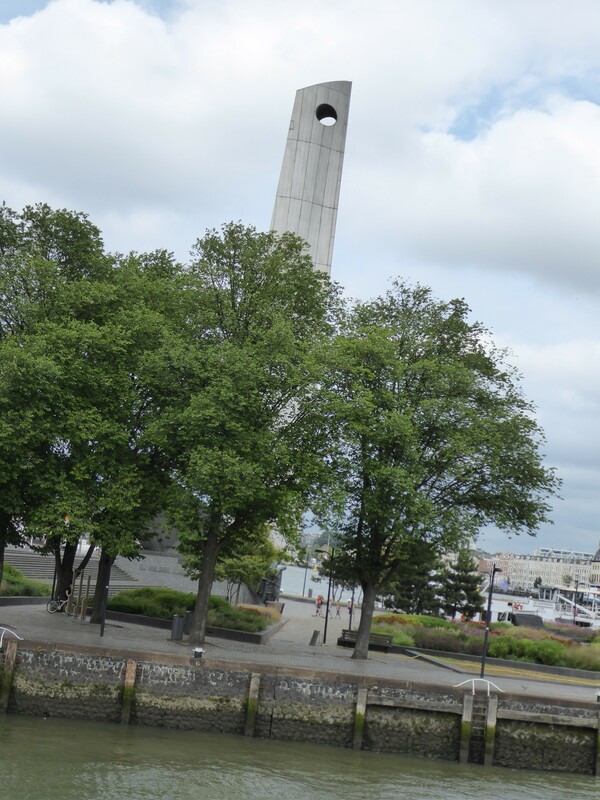 Just a slight turn of the head from the bridge is a vividly inspiring building that looks like a mushroom of sorts. 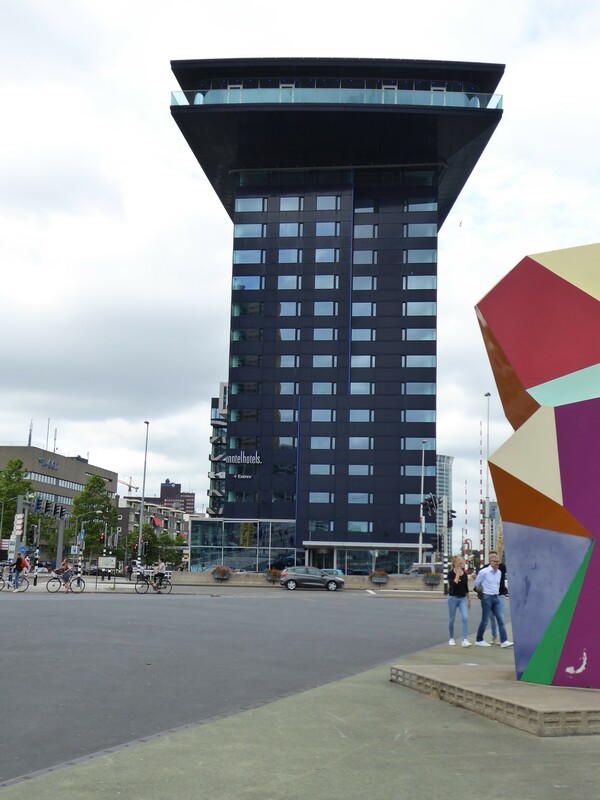 It is actually a hotel. 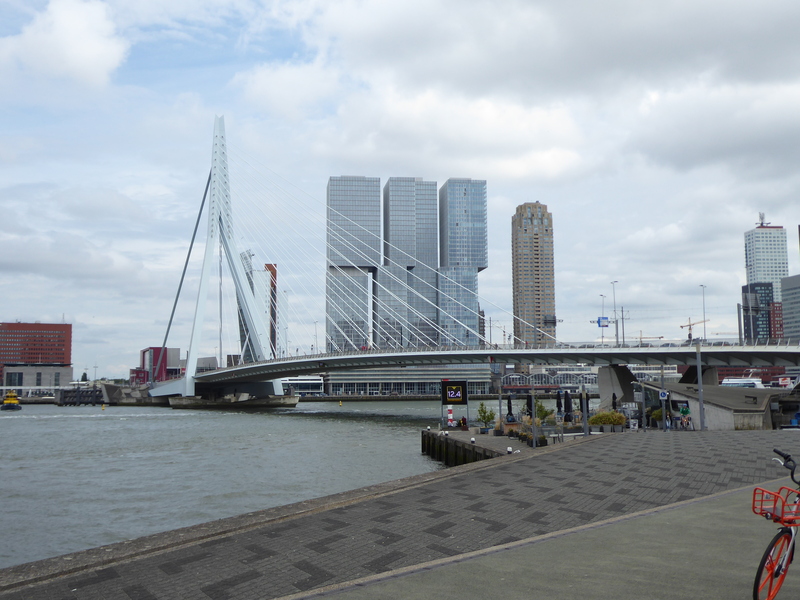 From the Erasmus bridge it was a walk to the light rail which would take me to the Euromast, a tower that gives viewpoints of the city. Perhaps the most interesting facet of this city that infinitely inspires was the sheer amount of bicyclists I saw everywhere. 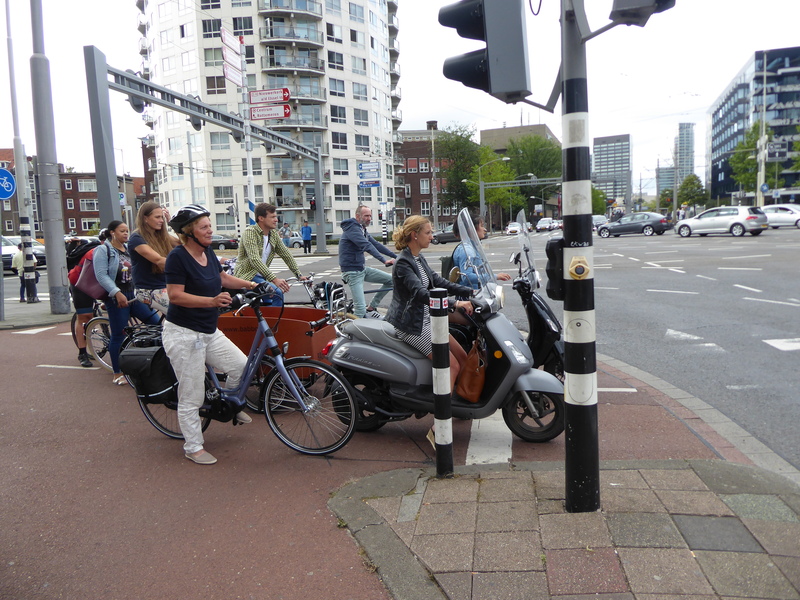 There are lanes built on every street that gives cyclists right of way, if only every city was like this. One odd thing was that scooters also used this lane. On the way to the rail stop, there was this sculpture. What it is, I cannot begin to guess. I had to wait a few minutes for the light rail, but noted upon its arrival that the color scheme itself was artistic, as opposed to the usual bland single tone colors of most public transportation systems. 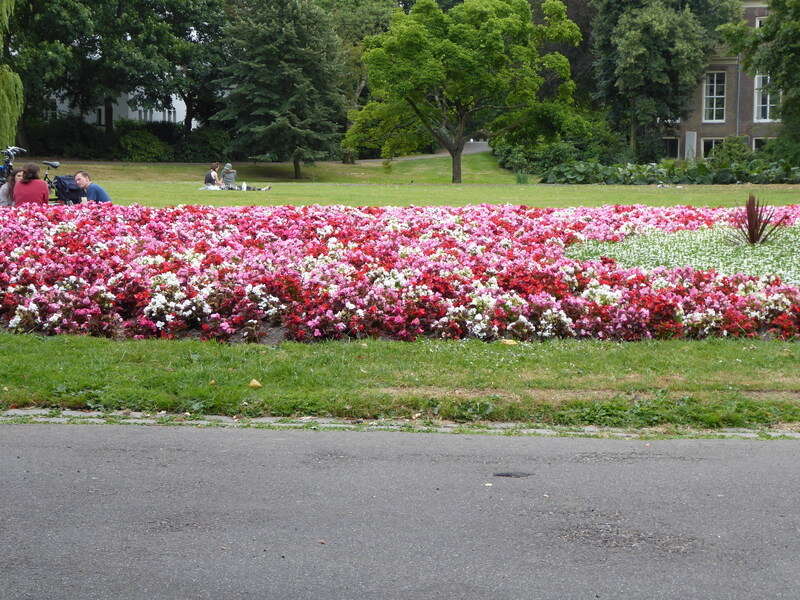 After getting off the stop near the Euromast, I noticed this garden. Since it was not winter, some flowers were in bloom. Note that in July the weather was sixty degrees Fahrenheit. 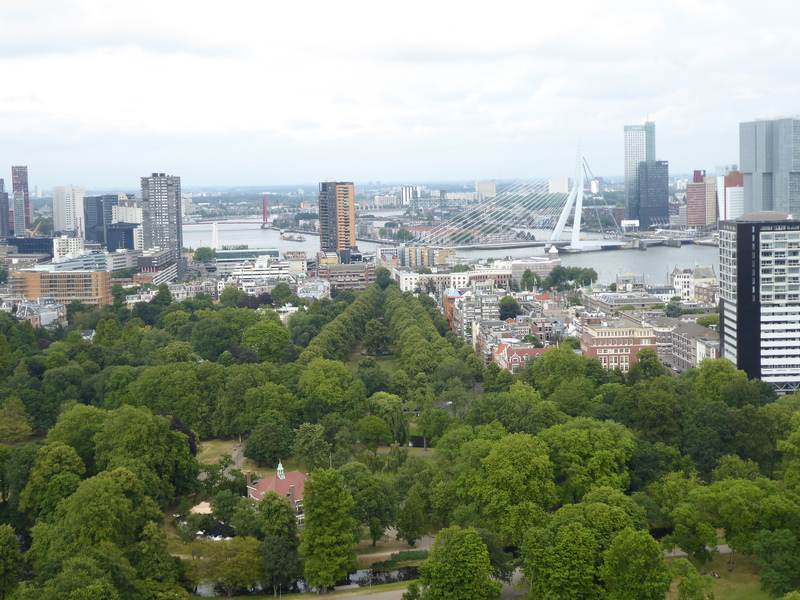 Upon arrival to the Euromast, it was an elevator straight to the top. Here I could get a view of the city at large. 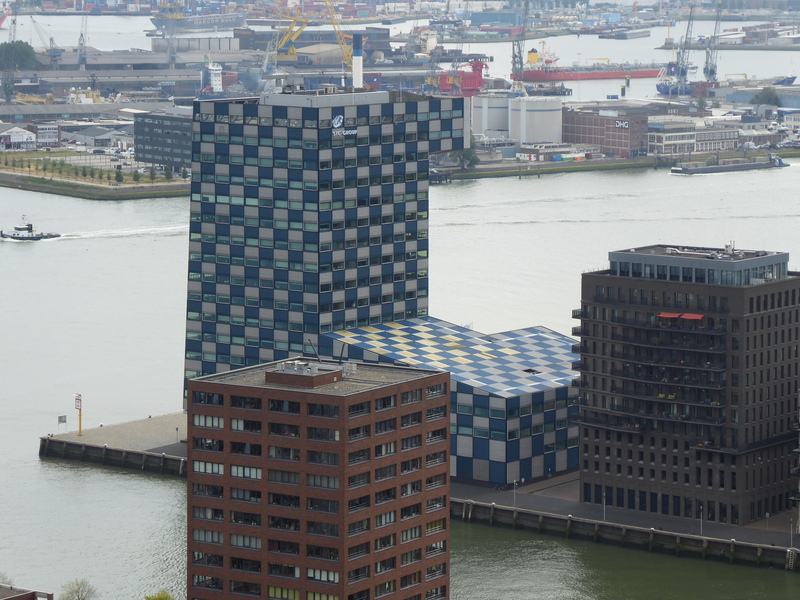 The best part of this was noticing even more oddly shaped buildings. 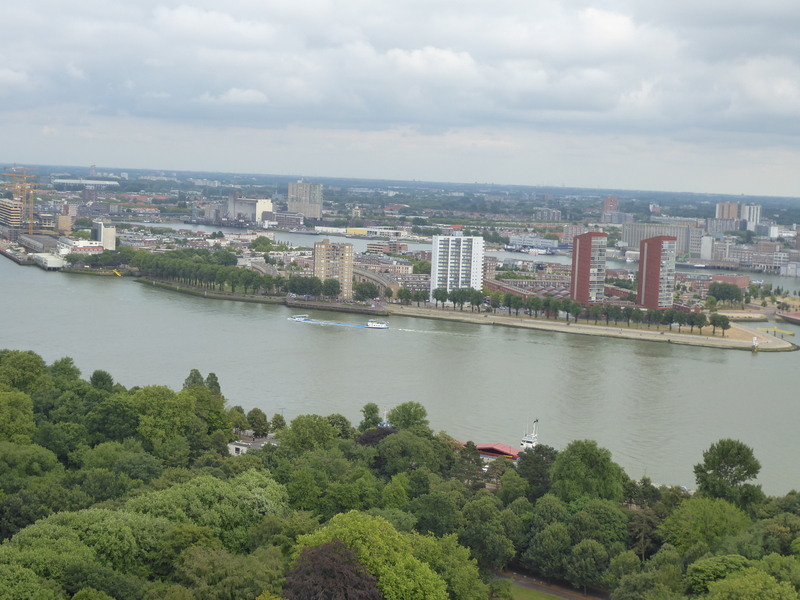 The city with all its waterways was amazing to view as well. One interesting point about this tower is that there were additional stairs to climb even higher, with no sort of supervision. 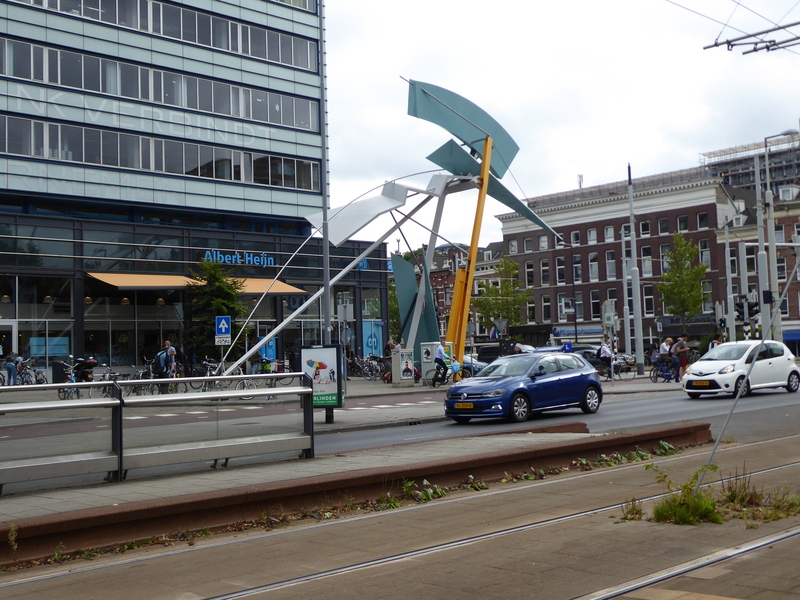 This was a bit different for a European city, but a bit enthralling as well. 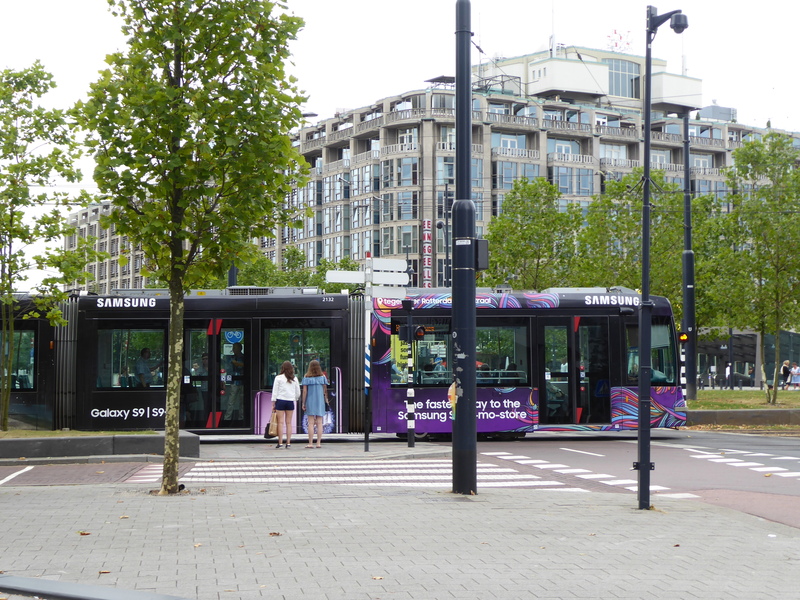 This was essentially the end of my day in Rotterdam. The city was better than I could have expected, and the people’s kindness was as amazing as the city itself. I had already planned to go to Brussels the next day, but I wish I could have spent more time in the Netherlands. If I get the chance to return, I definitely will.